Spring has sprung, and we are all looking forward to warmer days ahead. It’s the perfect time to give your home a good Spring clean. There’s a lot of texture and colours to look forward this Spring 2018. This means you’re going to deal with glittery gold, pastels, and zingy colour pops for your interior design this Spring. We have compiled some of the best interior decoration favourites. Check out these seriously good home inspirations. Spring is a time for more wall hangings like tassels and feathers. Add some lovely handmade accessories like these to each of your rooms to create a bold and vibrant look. Throw some beautiful tactile cushions on your sofas for a fluffy snuggle. If you have plain walls, you can add some colourful woven wall-hangings to make it look more interesting. Spice up your interior decoration with a boho weaved tassel throw as it creates an energised feel in a room. Since it’s no longer grey outside, let it come inside. This year’s Spring will have new neutral palettes as its main highlight. Greys are soothing on the eyes, so they make a great base shade for any rooms or walls. If you want to achieve a contemporary scheme, then grey is the colour to go for. Who loves Gelato? Ice cream colours are sure to hit this Spring season not only for the interior but exterior as well. You don’t need to wait until Spring, start getting your key pieces now and get ahead of everyone when it comes to interior design ideas. Do you find it hard to choose your paint colour? Think of it like you are choosing your favourite ice cream. Why choose one if you can have all in perfect ice cream colours. Mix up different colours until you find a combination that suits your taste and match the theme of your accessories. Incorporate these fancy colours on your wall and accessorise your room with pastel-hued vases. Although geometric shapes are seen in 2017, it’s not that prevalent since it was mainly on cushions and rags. The current year focuses on tiles, wallpaper, and art. Use different geometric shapes to create uniformity in each room. Geometry helps in creating modern interior design trends. It adds a fresh touch to your existing home decor. The best thing that you will love in Spring is the blooming trees outside. They renew life and evoke happiness. If you want to breath new life into your home, incorporate fresh blooms and branches to your interior decoration. It also refreshes your home as preparation for Spring. If you are not able to come up with fresh foliage, you can manage to find some lovely faux Spring foliage that can look realistic. Transparent objects in interior decoration symbolise light. Setting up transparent tables is an excellent way of achieving transparency since it refracts and reflects light. This gives a shimmery effect to the table before your eyes. It is striking that the material resembles water picking up light. Choosing a transparent table design is one of the best choices you can make for your home interior design. Remember to consider factors such as colours, table styles, materials used, and sizes in choosing the right furniture. Most of all, the design table should make you feel contented and happy. This Spring season you’re going to see more of the ombre effect in most interiors. You can use this style in your home interior by using cushions and rugs in ombre shade. Aside from this, hang wall arts and paintings with ombre touches. Ombre wallpaper is also an excellent alternative to give your room an appealing touch. Remember to coordinate your accessories with the wallpaper to complement the wall colour. Gold is the key colour of Spring this 2018. Bring elegance and a sense of decadence to your interior decor by incorporating gold into your furniture and accessories. Install door knobs with gold detailing. You can also use lamps with gold bases in your living room and receiving area as it will surely catch people’s attention. If you are a style-savvy individual, furnishings with brass and gold are excellent interior ideas for your home. One of the strongest trends this Spring season. If you want to transform your living space, focus on a variety of intense shades. 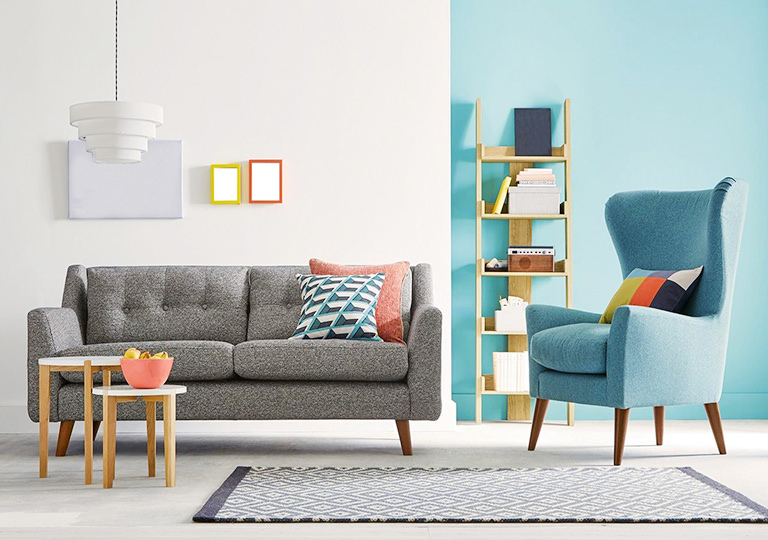 Mix bright colours and come up with a new look of home’s interior. Utilise texture to layer the look of your interior and try to team patterns and stripes together. If you would like to know more about interior decoration ideas mentioned in this blog, hire a professional interior designer through HIREtrades for the best advice to suit your home and lifestyle. What to Expect from Window Cleaning Services?